When I redecorate, it’s probably because I’m bored with tan and want to switch to blue, or something is worn and it’s time to upgrade. When the Church redecorates (thankfully), it’s a lot more meaningful. Everything the Church does is to lead us closer to Jesus and that is exactly what is happening with the Church redecorates each season. The colors, vestments, tone of the music, and all the other elements of this “redecoration” all mean something and understanding that something is what this lesson is all about. The core of the lesson (pages 2-4) is an overview of each of the major seasons and a few basic universals about each. We have activities at three different levels, and ask you to look at them ahead of time to choose which will be best for your kids. Most basic is the My Liturgical Coloring Book. Simply have your child color the appropriate page as you talk about each season. If you only have younger children, I would recommend stopping here. 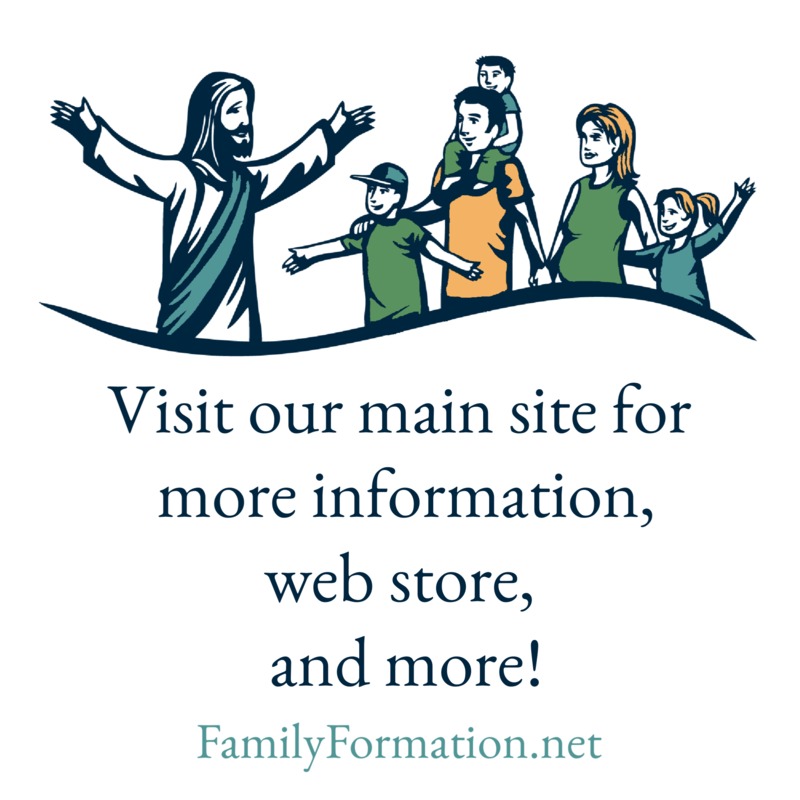 If your kids are a little older or if you have more than one doing Family Formation, I’d recommend you add the Liturgical Pursuit Game as a fun way to review what you’ve just learned. Playing a game adds a little fun and competition and makes the lesson memorable. In this case, you can alter a single detail and make the game either a little more controlled or more lively. We’ve provided you with a piece of paper in each of the major liturgical colors. The intent is to cut each into a piece for each player. As you go through the questions, your kids will hold up the piece representing the correct answer. The alternative is to just let them shout it out. Quiet or crazy – it’s your call. The third activity plays at three levels and all are just a little more advanced. The prep involves cutting out the flashcards and all levels involve putting them in order and matching them with the proper liturgical color. If your family did this lesson three years ago (or six or nine), this activity is for you! This is also a good place to remind you to be dressing your priest paper doll and following the Liturgical Calendar that you may have received from Family Formation. They’re more relevant than ever while we’re studying this topic and there are big color changes coming up soon with Advent and Christmas which will add interest to the activities.